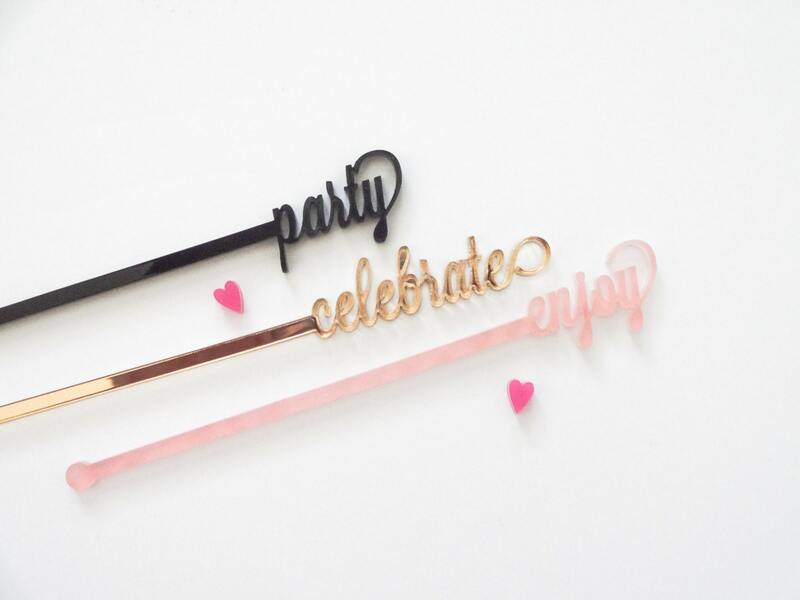 Cheers, Party, Celebrate, Enjoy, Love Swizzle Sticks, Stir Sticks, Drink Stirrers Laser Cut, Acrylic, 6 Ct. 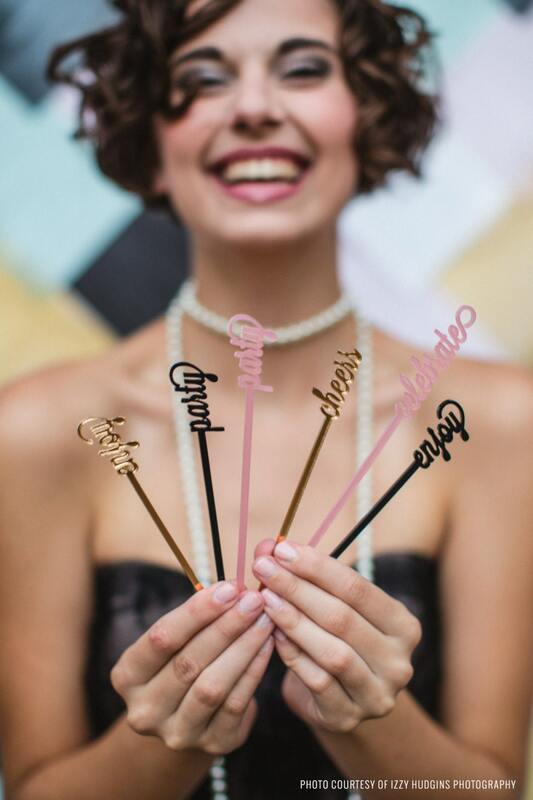 Dress up your cocktails with these fun statement swizzle sticks! 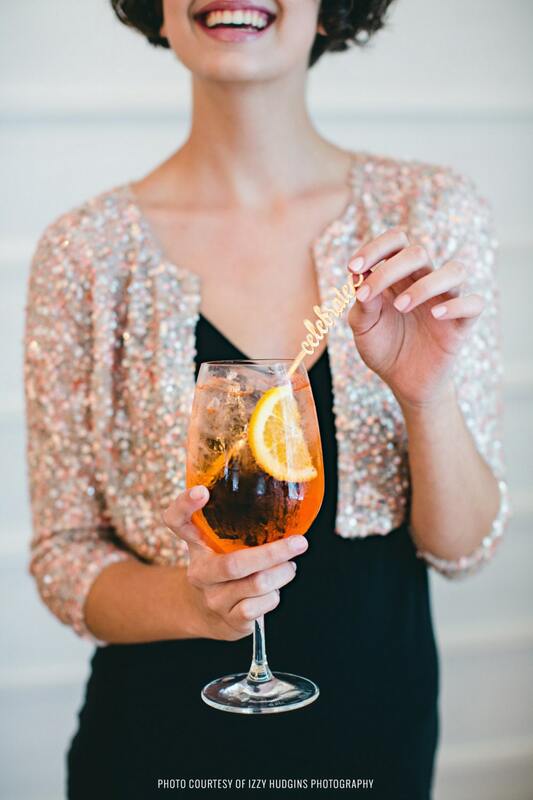 Ring in the New Year or celebrate your Birthday in style!! 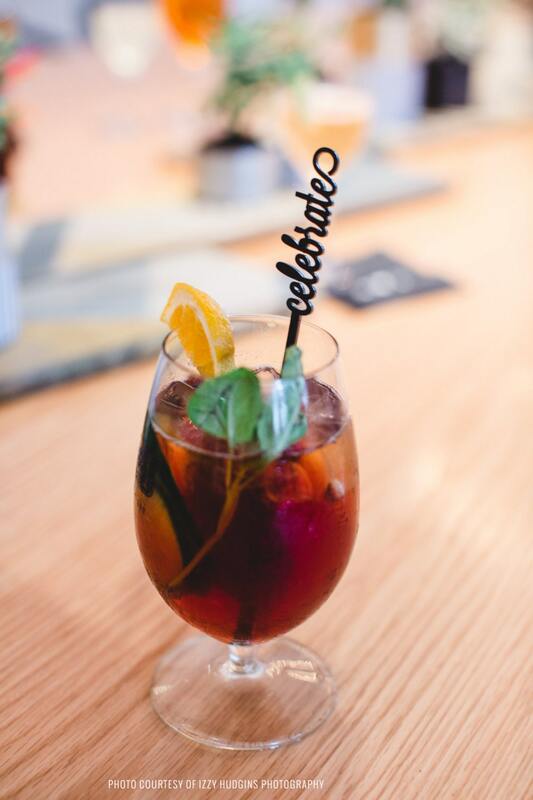 These come in 5 styles; Cheers, Party, Celebrate, Enjoy, and Love. 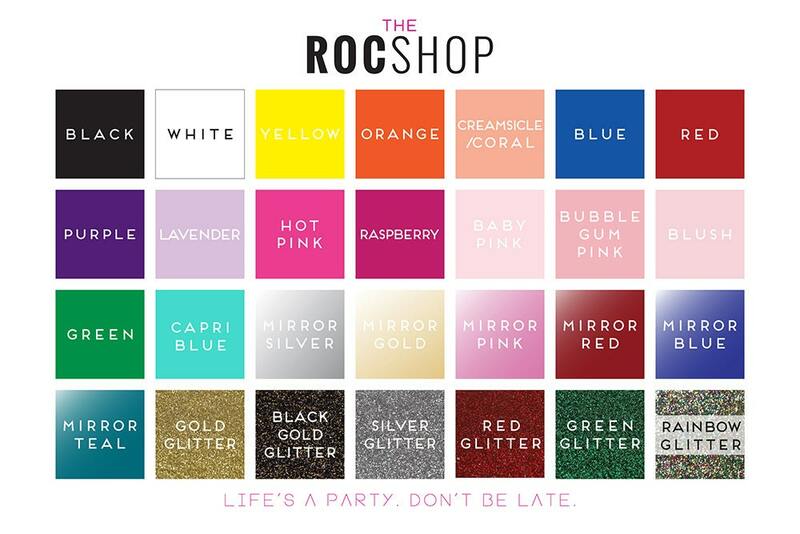 Each style is sold separately, in packs of 6. Colors shown in images: Black, Mirror Gold, and Blush Pink. Ready to ship on time for your New Year's celebration!! Height = .50" - 1"